7:30 AM 12/6/2017 – Politics: This explains how social media can both weaken and strengthen democracy. Politics: This explains how social media can both weaken and strengthen democracy. POLITICO – TOP Stories: Forget tax cuts. The economy needs more working women. POLITICO – TOP Stories: I Saw the Kate Steinle Murder Trial Up Close. The Jury Didnt Botch It. A perfect, Trumpian storm has revealed a Republican Party uniquely drawn to candidates like Roy Moore. President Donald Trumps planned decision to recognize Jerusalem as the capital of Israel and move the U.S. embassy there is a kiss of death for a solution to the long-running territorial conflict in the region, Palestines envoy to the United Kingdom said Wednesday. If he says what he is intending to say about Jerusalem being the capital of Israel, it means a kiss of death to the two-state solution, Manuel Hassassian told BBC radio Wednesday in an interview that was picked up by Reuters. He is declaring war in the Middle East, he is declaring war against 1.5 billion Muslims (and) hundreds of millions of Christians that are not going to accept the holy shrines to be totally under the hegemony of Israel, Hassassian said. Trump is expected to announce Wednesday that the U.S. will recognize Jerusalem as Israels capital, a controversial move that makes good on a promise he made during the presidential campaign. 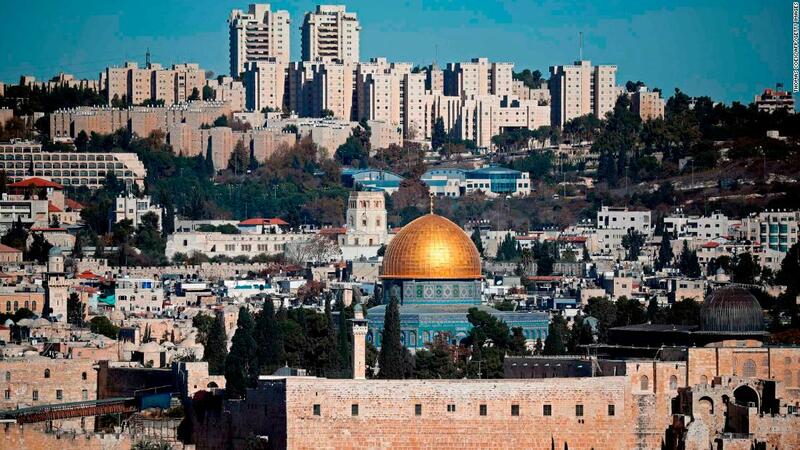 It is a step long sought by Israels government but opposed by Palestinians, which would also seek to claim Jerusalem as its capital in any two-state solution. The onetime Democrat is reversing Obama administration policies and reshaping the federal judiciary. BIRMINGHAM, Ala. (Reuters) – Name-calling is not unusual in U.S. politics. But “child abuser” is not usually one of the names. SACRAMENTO, Calif. (Reuters) – Laura Russo is just the kind of voter the Republicans need, but the party’s proposed tax overhaul, which includes limits on the deductions for mortgage interest, state taxes and property taxes, is pushing her away. A majority of voters think Congress should avoid shutting down the federal government and members shouldnt threaten a shutdown to enact policy changes, according to a new POLITICO/Morning Consult poll conducted on the eve of another possible lapse in government funding. Sixty-three percent say members of Congress should should avoid a shutdown at all costs. Only 18 percent of voters surveyed say members should allow a temporary government shutdown if it helps them achieve their policy goals. The remaining 19 percent of voters are undecided. The government is currently scheduled to run out of funding this Friday. GOP leaders in Congress are planning a vote on a continuing resolution to keep the government operating on Thursday. There are some partisan differences when it comes to the issues for which voters might support a government shutdown, however. More than 4-in-10 voters, 42 percent, say reauthorizing the Childrens Health Insurance Program, which expired at the end of September, is definitely worth shutting down the government including 53 percent of Democrats, 36 percent of Republicans and 37 percent of independents. More than a third, 34 percent, say awarding hurricane-recovery aid to Texas, Florida and Puerto Rico is definitely important enough to prompt a government shutdown. And 33 percent say increasing defense funding is definitely important enough to shut down the government. But few voters see immigration as worth shutting down the government over. Only 20 percent of voters say it is definitely worth shutting down the government in order to secure funding to build a wall along the U.S.-Mexico border, a priority of President Donald Trump. More than a third of Republicans, 43 percent, supporting shutting down the government to build the border wall, but only 13 percent of Democrats and 13 percent of independents agree. A quarter, 25 percent, say it would definitely be worth shutting down the government in order to grant protection from deportation to undocumented young people who were brought to the U.S. as children. Democratic voters (34 percent) are more likely to say shielding Deferred Action for Childhood Arrivals recipients from deportation is definitely worth shutting down the government than Republicans (20 percent) or independents (20 percent). The poll also shows a small uptick in Trumps approval rating as president to 45 percent, up from 43 percent last week. A slight majority, 51 percent, disapprove of the job Trump is doing as president. The POLITICO/Morning Consult poll was conducted December 1-3, surveying 1,997 registered voters. The survey was already in the field when the Senate narrowly advanced legislation overhauling the tax code early Saturday morning. A plurality of voters, 46 percent, support legislation introduced by congressional Republicans that makes widespread changes to the U.S. tax system catch-all language used to describe the GOPs tax efforts, despite the differences between bills that have passed the House and Senate. Fewer voters, 37 percent, oppose Republicans tax legislation. The margin of error is plus or minus 2 percentage points. Its not easy being the lone woman at the top of the food chain, especially in all-male kitchens. But powerhouse chef and restaurateur Amy Brandwein owner of the popular Italian eatery and market Centrolina in downtown Washington has learned to deal with it. If youre the only woman in a kitchen, and then youre the sous chef, and then youre supervising a team of male chefs, some of them are supportive, and some of them are like, Im not down with this, Brandwein told POLITICOs Anna Palmer on the latest episode of the Women Rule podcast. As the sous chef, Brandwein added that it can be very hard, because then at that point, youre actually supervising all men, and that is really challenging. The chef, who came up through the Washington food scene in Roberto Donnas Galileo restaurant, said that in those male-dominated kitchens, being persuasive was a more effective management technique than employing a heavy hand. What I found was a woman cannot bark orders at a team of male cooks, Brandwein recounted. Its just not going to be successful, because theyre going to try to buck you. So, I used kind of softer skills, and especially trying to get collaboration and consensus. Now, Brandwein rarely faces that problem in her own restaurant: Her senior staff at Centrolina, which she opened to much fanfare in 2015, is all women. The chef denied that this was by design, but she acknowledged that her entrepreneurial venture was staffed in such a way that all women jumped off the bridge with me. They were really excited about the idea of a successful woman-owned business, a chef in the middle of downtown D.C., Brandwein said. In this far-ranging Women Rule conversation, Brandwein also discussed operating in a politically polarized Washington and the double-edged challenges of airing her political views as a local business owner. I want everybody to feel comfortable eating at Centrolina, because really, its really about food, she said. Im not there to have a political restaurant. But, at the same time, I cant stifle my own voice and not participate in the culture in the way that I want because I happen to be the owner of Centrolina. But Brandwein also credits politics with at least one useful thing: the ability to raise money for her new enterprise. One of the challenges for women entrepreneurs and women chefs or business owners is trying to get your own network to raise the capital, she recounted. So, I dont have, like, an old boys network that was helping me I had, like, a new girls network that was helping me. A former staffer at EMILYs List, Brandwein said she turned to her network of political friends to find out more about fundraising. The political action committee I worked for, EMILYs List, obviously knows a few things about fundraising, she said. And so my friend Mary Jane Volk, she helped me kind of shes a fundraiser and she kind of helped me put on a fundraising hat and teach me how to do the ask, and make it clear and succinct. And that was really such a learning process for me. 2:27 After an illustrious career at restaurants around Washington, Brandwein decided to strike out on her own because she felt that she couldnt fulfill her vision for food under someone elses direction. I like to work with just very fresh products and use, like, an Italian sensibility and try to enhance it, and have everything kind of distilled into distinct elements, she said. And I just couldnt see myself being able to do that in another persons restaurant. 4:09 Brandwein discusses the daunting task of raising capital for her new business and details how it took her four years from the writing of her business plan to execution. I dont have an old boys network helping me, she said. I had a new girls network that was helping me. Later, Brandwein gets into the nitty gritty of fundraising what she calls the unglamorous side of chef-ing. 8:14 Brandwein recounts how she worked her way up through a male-dominated kitchen, from pastry cook to sous chef. 11:11 Is sexual harassment and assault pervasive in the restaurant industry? Brandwein answers with an emphatic yes. But getting that career path is perhaps the bigger challenge, Brandwein says. 16:00 The chef discusses staffing her senior positions in the kitchen with women. I was a first-time entrepreneur, and so the women that are here with me, they were very interested in the project. 17:30 Brandwein discusses how she moved out from under chef Roberto Donnas shadow. It can be hard for any person to forge their own identity from one of those types of chefs, those chef-gods, she recalled. But as a woman, it was kind of like people would say I was his sidekick and that kind of thing, and Im like wow! Im not really his sidekick, Im his chef, which is a really big responsibility for any chef. Its a huge job. 19:00 Brandwein discusses her partnership and investment in D.C. Urban Greens, an organization with two urban farms in the District that supply produce to underserved communities. Centrolina is the groups only for-profit customer. It just tells a story that needs to be told about access to food, about chefs, about Washington, D.C., and its just been such an amazing thing. 21:00 Brandwein explains how she came up with the concept for Centrolinas restaurant-marketplace combination. When I was in the middle of the Galileo kitchen and we were getting all these amazing produce dropped off every week, and I thought, you know, chefs really need to have wonderful product to be able to create wonderful food, she said. But I always felt like the real pride is in the product, not necessarily the chef, whos putting lemon vinaigrette on these amazing greens its the greens. 23:00 Brandwein talks about her own political past and what shes trying to do now to stay more involved in local politics and womens rights. When it looked like this [Womens] march was really going to be something organized and powerful, it just it was like a no-brainer for me to get involved, she said. I mean, its not necessarily a Republican/Democrat issue to me; its a womens issue. 25:00 Brandwein discusses the state of the food scene around Washington. If you really want to make America great again, get more women in the workforce. That’s the top takeaway from a new report by Standard & Poor’s chief U.S. economist, Beth Ann Bovino, who says in the latest POLITICO Money podcast that the nation would be in much better shape if womens participation in the workforce had not stalled out in the 1990s. Bovino said the U.S. economy could be much larger and more productive if it just kept adding women to the workforce at the same pace Norway has since the 1970s. And she said addressing the issue would add much more to economic growth than the tax-cut plan, H.R. 1, now moving through Congress. If the participation rate of women in the United States kept at the same pace as what happened in Norway, we would have today, as of 2016, an economy that is $1.6 trillion larger, she said. That means $5,000 for every man, woman and child in the U.S. It seems like it would be worth it. The pace of women joining the workforce in the U.S. slowed for many reasons, Bovino said. High among them: the lack of mandated paid maternity and paternity leave. The U.S. is the only country in the OECD that doesnt provide income support during maternity and paternity leave, she said, referring to developed countries in the Organisation for Economic Co-operation and Development. If it costs a lot as a woman who is taking care of children, you are going to do a cost-benefit analysis and say: ‘Is it worth it to get that paycheck when over 50 percent goes to child care? Maybe Ill just stay at home. Bovino, one of Wall Streets leading economic forecasters, said finding ways to increase participation among women will be especially key in the coming decades as the baby-boom generation retires. At a time when we have baby boomers leaving the workforce at a very sharp pace, having those women in the workforce over the next few decades, the productivity gains and the competitive edge that we would have, would grow the economy by leaps and bounds, by 5 to 10 percent going forward. On the public-policy front, Bovino suggested adding a formal score, such as those done by the CBO, to every major piece of legislation, assessing how it would impact women in the workforce. Think about it as kind of a cost-benefit analysis on the decision to work, taking into account child care costs, she said. This is something that the CBO has done, or something similar, when the Affordable Care Act was being enacted. On the recent raft of sexual harassment cases in politics and the business world, Bovino said it was too soon to attach a dollar cost but that the impact on women deciding to stick with careers and rise up the corporate ladder was likely immense. Its incredibly hard to quantify both the psychological impact on the women and the workforce, she said. Even if it happened to just one or two women within the workplace, probably the sentiment is felt across the office, and that has a traumatic impact on morale. And if morale is hurt, that slows down productivity. Congressional investigators are scrutinizing trips to Europe taken last year by several associates of President Donald Trump, amid concern they may have met with Kremlin-linked operatives as part of Russias interference in the 2016 presidential election. Several people close to then-candidate Trump visited Europe during and after the campaign, including his son Donald Trump Jr., Trump lawyer Michael Cohen and foreign policy advisers Carter Page, George Papadopoulos and Jeffrey Gordon. Their known destinations include London, Paris, Budapest and Athens. But their explanations of those trips have not always been forthcoming, and some congressional investigators find their stories suspect. When a House Intelligence Committee member asked Page last month about his end-of-summer 2016 visit to Budapest, for instance, Page initially said he did a lot of sightseeing and went to a jazz club. Not much to report. Under further questioning, Page admitted to meeting with a Hungarian government official who some congressional investigators suspect is an intelligence officer and cryptically offered that there may have been one Russian person passing through there. Trump Jr. flew to Paris late in the campaign to meet with and speak before a foreign policy group with ties to Russian officials. Cohen traveled three times to Europe last year, though he strongly denies the claim in a controversial dossier on Donald Trumps Russia connections that he met secretly with a Russian official in Prague. Such trips have raised concerns about whether the Trump associates were approached by Russian intelligence agents as part of the Kremlins election meddling or even sought face-to-face meetings themselves, possibly to discuss acquiring incriminating information on Trumps Democratic rival Hillary Clinton, according to two congressional officials familiar with the probes. Trump, his lawyers and his aides have all repeatedly insisted that they did not collude with the Russians. The House Intelligence Committee one of three congressional panels investigating Russian meddling in the election along with special counsel Robert Mueller is particularly interested in how the European travel might shed light on Moscows broader effort to forge ties with Trump campaign officials, the congressional officials said. Russian intelligence services have long sought to recruit or manipulate Americans traveling in Europe. We have a number of people on the Trump campaign who left the country in the course of the campaign, and we need to figure out why, said Rep. Eric Swalwell of California, the committees second-highest-ranking Democrat. We want to know where they went, who they met with, if information was exchanged and whether any agreements were made. The trips have drawn increased scrutiny since it was disclosed in October that Papadopoulos met in London with suspected Russian operatives who promised “dirt,” including hacked emails belonging to Clinton. Papadapoulos, like Page an energy consultant and member of the Trump campaigns national security advisory committee, has since pleaded guilty to lying to federal agents about those contacts. He is now a cooperating witness for Mueller. Swalwell said the committee has received information about the travel of a host of others besides Trump Jr., Cohen, Page and Papadopoulos. But, he said, I cannot say now that we fully understand the depth of the travel and the meetings. In particular, the House Intelligence Committee is seeking more details on a trip to Paris that Trump Jr. took shortly before Election Day. He lunched at the Hotel Ritz Paris with Randa Kassis, a Syrian peace activist with reported ties to Russian officials, along with her French husband, who reportedly nominated Russian President Vladimir Putin for the Nobel Peace Prize. That night, the younger Trump was paid at least $50,000 to speak at the husbands foreign policy think tank. Trump has not explained why he flew overseas at such a critical point in the campaign. But Kassis boasted in a post-election Facebook post that she had succeeded to pass Trump, through the talks with his son, the idea of how [the U.S. and Russia] can cooperate together to end Syrias civil war. Congressional investigators are also trying to ascertain whether Cohen, one of Trumps longest-serving and most trusted advisers, met with Russian operatives somewhere in Europe, including Prague, where the dossier alleges he attended a meeting to clean up the mess created by public disclosures of other Trump associates reported ties to Russia. Cohen has come under close scrutiny for several Trump-Russia controversies, including discussing with top Kremlin officials during the GOP primaries a proposal to build a Trump building in Moscow. He also was linked to a proposed pro-Russian peace plan for Ukraine involving Felix Sater, a former Trump business associate with Russian government connections. Cohen has strenuously denied that such a meeting occurred, and he provided a copy of his passport to BuzzFeed in May. The passport was stamped for entry and exit to the United Kingdom and Italy but not the Czech Republic, whose capital is Prague. I have never been to Prague in my life. #fakenews, Cohen tweeted on Jan. 10. His passport stamps show that he traveled twice to London in 2016 and once to Italy, from July 9 to July 17. Cohens passport would not show any record of a visit to Prague if he entered the EU through Italy, traveled to the Czech Republic, and then returned to his point of EU entry. A congressional official said the issue is still active for investigators. Papadopoulos made at least two visits in 2016 to Athens, where he met with the president of Greece and other top officials in his capacity as a Trump campaign adviser, according to local media reports. One of the congressional officials said that committee members were aware of media reports that one of Papadopoulos trips to Athens, in mid-May of last year, may have overlapped with a visit by Putin. Papadopoulos had a meeting there with the countrys pro-Russian defense minister, Panos Kammenos, who also met with Putin around the time of the Russian leaders visit. Committee investigators are also interested in the travel of at least two Trump associates to Budapest, which U.S. officials consider an active base for Russian intelligence. The authoritarian government of Hungarian Prime Minister Viktor Orban is staunchly pro-Putin. In July 2016, Orban became one of the first world leaders to endorse Trump for his anti-immigration policies. He is also a vocal Putin ally who opposes continued EU sanctions over Russias invasion of Ukraine. Congressional Democrats say their efforts to learn more about the trips have been been hamstrung by incomplete or false information from some Trump associates. They complain that Republicans have opposed Democratic demands for banking, travel and communications records that could show in greater detail where the Trump associates went and with whom they met, according to Swalwell and a second congressional official who spoke on the condition of anonymity. In particular, personal records like credit card statements could shed new light on whether Trump associates made any undisclosed stops inside Europe. The European Union does not issue passport stamps or keep other records of travel between 22 of the countries within its borders; the United Kingdom is one of six others that have opted out. Adding to investigators concerns: tips from Dutch and British intelligence officials shared with Washington last year and reported by The New York Times in March that Trump associates met in those countries with Russian officials. To date there is no publicly known travel to the Netherlands by any Trump associates. And the dossier, created by a former British intelligence officer once posted in Moscow, said the Kremlin used operationally soft cities in Europe such as Prague for meetings with Trump associates in order to evade detection and provide both sides with plausible deniability. That was especially the case after things had become even hotter since August 2016 due to intense media focus on possible Trump-Russia ties, according to the dossier, much of which has not been verified. Russias intelligence services known informally as the FSB, the GRU and the SVR have for decades used such a tactic in Europe. Current and former U.S. intelligence officials told POLITICO that Kremlin spies are trained to hold their meetings in neutral and inconspicuous locations. One source familiar with the investigation said committee Republicans have resisted Democrats document requests because they disagree that any of the witnesses have been untruthful or deceptive. Andrew Weiss, a former senior Russia policy adviser at the Clinton White House and State Department, said investigators are understandably suspicious about the European meetings given past Kremlin practice. Thats especially true when Trump associates have meetings in third countries in a way that seems deliberately intended to make discovery more difficult,” said Weiss, now at the Carnegie Endowment for International Peace. The pattern of attempts to either not disclose such contacts or to misreport the substance of them is well established, Weiss added. Even if their intentions were innocent, Trump associates might have served Russian interests by creating a pattern of secret dealings that could be used to blackmail them, Weiss said. Budapest was a central topic during Pages seven-hour grilling by the House Intelligence Committee on Nov. 2. At first, Page said he mainly remembered his four-day weekend for a trip down the Danube and the jazz club visit. But under aggressive questioning by Rep. Adam Schiff (D-Calif.), a former prosecutor like Swalwell, Page conceded that he met with Hungarys then-ambassador to the U.S., Réka Szemerkényi, to follow up on a conversation they had at the Republican National Convention in Cleveland in July. Page also said he discussed “foreign policy things” with the ambassador, and conceded that he had some “general” discussions about U.S.-Russia relations with her and perhaps some other Hungarian officials. He insisted, though, that he could not remember any details. You dont remember the names of anyone you met with or what their positions were in the Hungarian government? Schiff asked, according to a transcript of the closed-door session that has since been released. Not right now, Page responded, adding that the trip details are a distant memory. 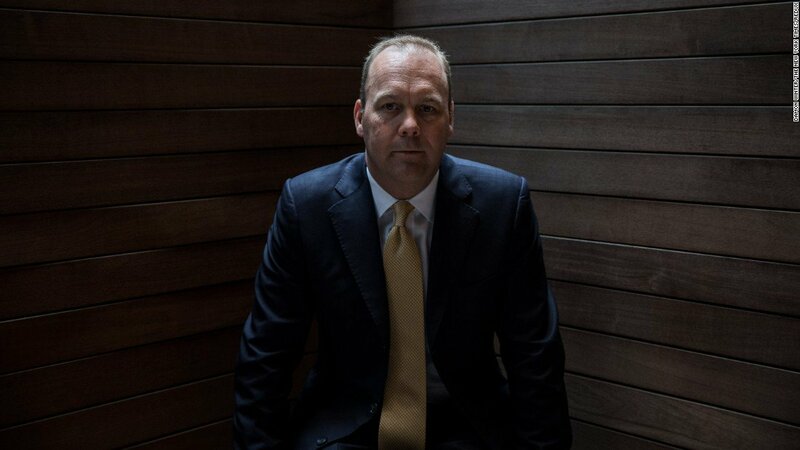 You went all the way to Budapest, Schiff said, and you cant remember who you met with and what you hoped to accomplish? Since then, Hungarian press has reported that Page did, in fact, meet with senior advisers to Orban, including his U.S. affairs adviser Jenő Megyesy. J.D. Gordon, who supervised Page and Papadopoulos as director of the National Security Advisory Committee, told the Hungarian newspaper Mandiner that he also visited Hungary in 2016 to speak at a think tank with ties to the Orban government. Gordon denied any wrongdoing and had no further comment. During Pages appearance before the House Intelligence Committee last month, Schiffs questions suggested interest in other as-yet-undisclosed trips to Budapest by Trump associates. Schiff asked Page whether any of the officials he met with in Budapest indicated to you that anyone else from the Trump campaign had been in Budapest that year? At first, Page said no. Then, he conceded, Szemerkényi may have mentioned someone else passing through. Republicans tax-rewrite plans are riddled with bugs, loopholes and other potential problems that could plague lawmakers long after their legislation is signed into law. Some of the provisions could be easily gamed, tax lawyers say. Their plans to cut taxes on pass-through businesses in particular could open broad avenues for tax avoidance. Others would have unintended results, like a last-minute decision by the Senate to keep the alternative minimum tax, which was designed to make sure wealthy people and corporations don’t escape taxes altogether. For many businesses, that would nullify the value of a hugely popular break for research and development expenses. Some provisions are so vaguely written they leave experts scratching their heads, like a proposal to begin taxing the investment earnings of rich private universities endowments. The legislation H.R. 1 (115) doesnt explain whats considered an endowment, and some colleges have more than 1,000 accounts. In many cases, Republicans are giving taxpayers little time to adjust to sometimes major changes in policy. An entirely new international tax regime, one experts are still trying to parse, would go into effect Jan. 1, only days after lawmakers hope to push the plan through Congress. The more you read, the more you go, Holy crap, whats this?’ said Greg Jenner, a former top tax official in George W. Bushs Treasury Department. We will be dealing with unintended consequences for months to come because the bill is moving too fast. Some liken it to when Democrats rushed the Affordable Care Act through Congress and ended up with scads of legislative snafus. Republicans have not allowed Democrats to fix the health care law, and some say the GOP can expect payback when it tries to address problems with its tax plan. House Ways and Means Chairman Kevin Brady (R-Texas) said hes aware of problems, and that lawmakers aim to address them as part of negotiations over a final plan. Weve gotten really good feedback on how best to fine-tune it, he said. Its really showing us where we need to land, and the issues we need to improve in conference. Part of writing any tax legislation, tax veterans say, is trying to anticipate how clever tax lawyers might game a proposal, how seemingly disparate sections of the code might interact in unexpected ways and how to address taxpayers sometimes unusual circumstances. Its not possible for lawmakers to foresee every eventuality, and its hardly unusual for there to be mistakes Congress later corrects. What is unusual is the sheer scope of the legislation now before lawmakers, and the speed with which its moving through Congress. Republicans are trying to muscle the plan through the Capitol before special interest groups can mobilize opposition. The House passed its draft of the proposal, from introduction to final vote, in two weeks flat. The normally balky Senate needed barely three weeks to move its plan. By comparison, it took Democrats more than six months to pass the Affordable Care Act. That breakneck pace means there hasnt been much time for feedback from experts outside the Capitol. You can never catch all the implications, said Jenner. That problem is magnified exponentially when youre rushing through like this. 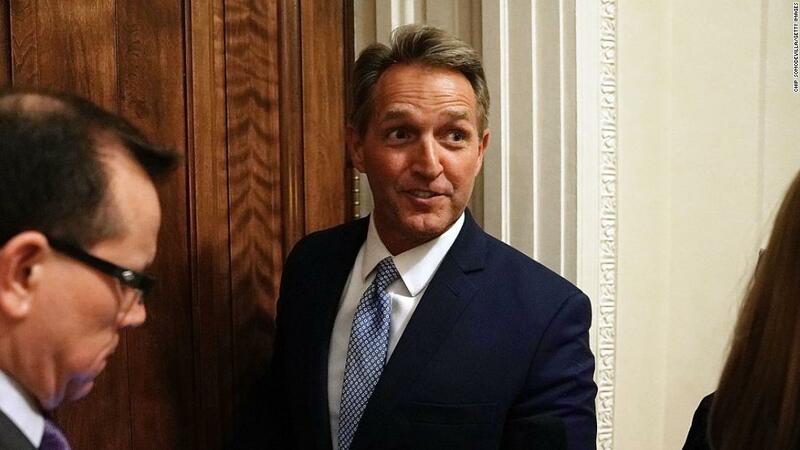 Some of the problems can be addressed by negotiators charged with hashing out a single plan that lawmakers can forward to President Donald Trump. But many of the issues are complicated, and lawmakers are in a hurry. Trump wants negotiators to wrap up their work even before a Dec. 22 deadline theyve set for themselves. We want it to proceed as quickly as possible, Marc Short, the administrations congressional liaison, said Tuesday. Whats more, some of the fixes could be expensive, potentially throwing lawmakers budget numbers out of whack. Republicans may try to pass subsequent legislation to address problems, but that may not have the reconciliation protections a set of complex rules in the Senate that allow them to shut off Democratic filibusters on which theyre now relying to move their plan through the chamber. That would enable Democrats to block any fixes. Lawmakers could also punt some of the issues to Treasury to figure out with government regulations. But thats typically a slow process, and most of the Republican plan would take effect Jan. 1. Republicans are well aware of the corporate AMT problem and appear likely to address it in conference, with House Majority Leader Kevin McCarthy (R-Calif.) demanding a fix. That should be eliminated, for sure, he told CNBC on Monday. But experts say there are plenty of other issues. Their plans to cut taxes on pass-through businesses would open a whole new palette of complicated tax-avoidance techniques allowing the well-to-do to slash their taxes, lawyers say. People will be tempted to recharacterize their income in order to take advantage of a 23 percent deduction for pass-throughs offered by the Senate. For someone making $500,000, that would save them $30,000. This is an entirely new concept and, from a tax lawyers perspective, its like a new paint box, said David Miller, a tax partner at Proskauer Rose LLP. We have a new tool to play with. At the same time, an apparent bid by the Senate to head off tax-avoidance moves involving business losses would dissuade people in certain circumstances from starting companies though one of the main purposes of the legislation is to improve the business environment, said Don Susswein, a principal at the tax and accounting firm RSM. Thats a good example of a provision that was undoubtedly well-intentioned, trying to solve a very narrow problem, but maybe they didnt have the time to really get it right, he said. Hopefully, it will be closely examined in conference. Republicans themselves acknowledge one glitch. In a report accompanying their legislation, House Republicans essentially say they screwed up the details of how a one-time tax on multinational companies offshore profits would work and plan to fix it. The committee is aware that certain aspects of this section require additional attention, the report says, and will revise the plan to avoid inappropriate results. Other issues arise from the fact that lawmakers are mostly skipping the custom of having a transitional period between current tax rules and the new ones, in order to give the public time to adjust to the changes. The House bill also includes a whole new way of taxing multinational corporations aside from the one-time tax that lawmakers have hardly debated, and which experts are still trying to understand. Its crazy, said one Republican lobbyist. I dont think anyone could explain it, let alone comply with it by Jan. 1. I was an alternate juror in the Kate Steinle murder trial in San Francisco. I didnt get a vote, but I saw all of the evidence and the jury instructions, and I discussed the verdict with the jury after it was delivered. Most of the public reaction I’ve seen has been surprise, confusion and derision. If these were among your reactions as well, I’m writing to explain to you why the jury was right to make the decision that they did. Im not a lawyer, but I understood the law that was read to us in this case. Defendants in this country have the right to a presumption of innocence, which means that if there is a reasonable interpretation of the evidence that favors a defendant, the jury must accept that interpretation over any others that incriminate him. This principle is a pillar of the American justice system, and it was a significant part of our jury instructions. Jose Ines Garcia Zarate, the undocumented immigrant who was accused of killing Steinle, was charged with 1st degree murder and the lesser included offenses of 2nd degree murder and involuntary manslaughter. When the prosecution rested its case, it seemed clear to me that the evidence didnt support the requirements of premeditation or malice aforethought (intentional recklessness or killing) for the murder charges. After having heard the evidence, I agreed with the defenses opinion that the murder charges should not have been brought. The evidence didn’t show that he intended to kill anyone. These are some of the facts that were laid out to us: Zarate had no motive and no recorded history of violence. The shot he fired from his chair hit the ground 12 feet in front of him before ricocheting another 78 feet to hit Steinle. The damage to the bullet indicated a glancing impact during the ricochet, so it seems to have been shot from a low height. The gun, a Sig Sauer P239 pistol, is a backup emergency weapon used by law enforcement that has a light trigger mode and no safety. (The jury asked to feel the trigger pull of the gun during deliberation, but the judge didnt allow it, for reasons that arent clear to us.) The pixelated video footage of the incident that we were shown, taken from the adjacent pier, shows a group of six people spending half an hour at that same chair setting down and picking up objects a mere 30 minutes before Garcia Zarate arrived there. But why the manslaughter acquittal? Most of the confusion I’ve encountered has been over this part of the verdict, and it does seem to me personally that manslaughter is the appropriate charge for Steinles killing. However, given the evidence and the law presented in this trial, it is clear to me that the jury made the right decision. The involuntary manslaughter charge that the jury was read included two key requirements: 1) A crime was committed in the act that caused death; 2) The defendant acted with “criminal negligence”he did something than an ordinary person would have known was likely to lead to someone’s death. The jury was not free to select the crime for part (1) they had to use the one chosen by the prosecution, and the prosecution chose that crime to be the “brandishing”, or the menacing waving, of a weapon. As a juror, I found this choice puzzling, because the prosecutor presented absolutely zero evidence of brandishing during the trial. I dont think we even heard the word brandishing until it was read as part of the charge during the jury instructions at the trial’s end. No witnesses ever saw the defendant holding a gun, much less brandishing it. Given that baffling choice by the prosecution, the manslaughter charge was a non-starter for the jury. Had a different precursor crime been chosenfor instance, the unlawful possession of a firearm by a felonthe outcome might have been different. Even in that case, however, it is not clear to me that part (2) of the manslaughter charge was proven. Only a single particle of gunshot residue was found on the defendants hands, which seems to support his repeated claim that the gun was wrapped in some sort of fabric when he picked it up and caused it to fire. If he did not know the object was a gun, it is a stretch to claim that it was criminal negligence for him to pick it up. The jury did convict Garcia Zarate of the separate charge of illegal possession of a firearm, which indicates that they felt it an unreasonable conclusion that he didnt know he was holding a gun. He was in the seat where he claims he found it for about 20 minutes prior to the shooting, and he made some statements during interrogation that seemed to indicate that he had known what the item was. Without the benefit of being able to re-examine the evidence during deliberation, Im not sure that I would consider that evidence to constitute proof beyond a reasonable doubt, but knowing these jurors, I would trust them to have made an accurate judgment if the manslaughter charge had survived the first requirement.